president Abdel Fattah Al-Sisi gave a speech on Wednesday during celebrations of the 23 July revolution, and participated in the graduation ceremony of military students in the Naval Academy and Air Defence. During his speech, President Abdel Fattah Al-Sisi, who is also Supreme Commander of the Armed Forces, saluted the families of the graduates, who planted “the love of the homeland in their children, as well as values of loyalty and sacrifice”. The remarks came during a Wednesday speech at the graduation ceremony of two classes at the Naval Academy and Air Defence. He also called on the students to “bravely participate in resisting the nation’s enemies, after they have been prepared scientifically and militarily to do so”. 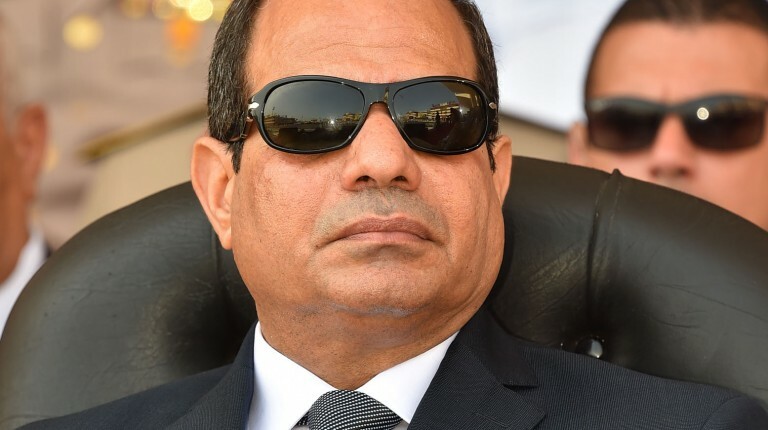 “We know what is surrounding us in the Arab region from challenges, which necessitate us to be awake and ready to fight, and prepared to build cadres of future officers who are able to secure our naval shores,” Al-Sisi said. The president also addressed the graduates, saying they are a new generation, which is involved in a “holy mission to defend the homeland”. He added that the officers are responsible for raising the conscious and sense of nationalism in Egyptian conscripts. Al-Sisi also commemorated the 63rd anniversary of the 23 July Revolution, which was engineered by the Free Officers movement to remove both the monarchy and the British occupation. “The memory of the July revolution should inspire us in the current stage. This revolution recalls the values of work and collaboration and national unity. This revolution wasn’t only against oppression and corruption, but also was accompanied by developments in different fields,” Al-Sisi added. The president asserted that Egypt’s national security is “our most important goal”, and added that we will not falter in defending the homeland. Since the ouster of former president Mohamed Morsi, Al-Sisi has been asserting that the military ouster of Morsi was the “national desire of the Egyptian people”. At the end of his speech, Al-Sisi thanked military and police personnel for their efforts during the current period. Egypt has been struggling to quell an insurgency in North Sinai since it arose shortly after the fall of Hosni Mubarak. The popular uprising that deposed the long-time autocrat was followed by a security vacuum and a period of instability, fostering an atmosphere for the insurgency to grow rapidly. The violence in the Sinai intensified following the Morsi’s ouster, who was removed from the presidency by Al-Sisi following mass demonstrations against his turbulent one-year rule. A state of emergency has been in place in certain areas in Sinai since last October, following an attack that left at least 30 security personnel dead at a checkpoint in Sheikh Zuweid, known as Qarm Al-Qawadis. However, North Sinai militants known as “State of Sinai” have conducted several operations during curfew hours, notably on 19 January, which targeted a number of checkpoints, Battalion 101 and security facilities in Al-Arish, Rafah and Sheikh Zuweid. In July alone, over 300 militants were killed during armed forces operations targeting militant hideouts in North Sinai, according to separate statements by military spokesman.